I quite like WordPress.com’s latest data visualisation tool, which allows you to see the spread of people reading your blog. 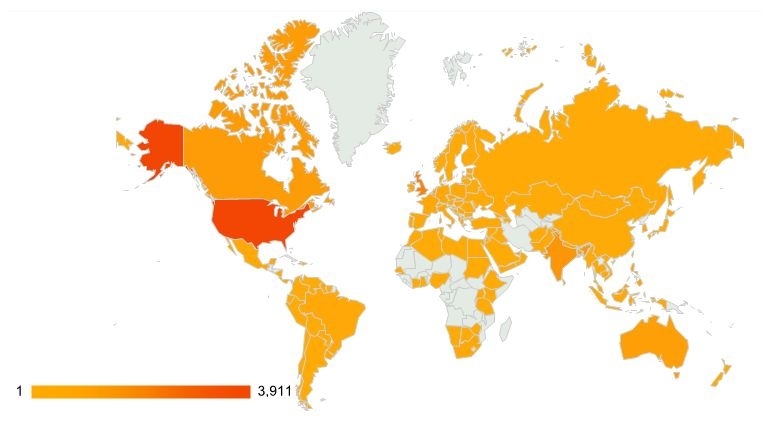 The data only goes back to February 25th 2012 and presumably a number of hits can have no country attributed to them, but it’s still a nice addition and interesting for me to see the number of different places that readers come from. Perhaps we’ll gloss over the Mercator Projection and also how annoying and fiddly the WordPress app for iOS is; then things are always harder on iPad – right?